Instructions for use: store in a dark place at room temperature. 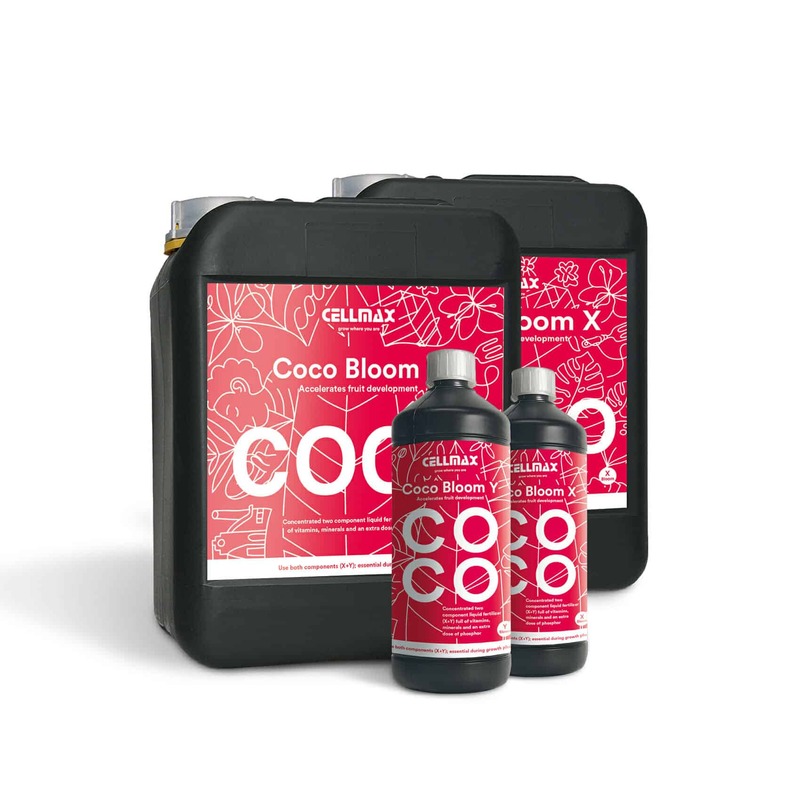 Coco Bloom is made by mixing equal parts of x and y Into tapwater at a dilution ratio of 1:250 (20ml per 5l) shake well before use. Warnings: never mix the x and y components together undiluted as this will produce insoluble mixtures. The concentrated nutrient contains salts and acid which may irritate skin, eyes. Lips and throat. NPK: 4-3-7 contains chelates. Excellent product, for me the best, the result is incredible, the smell and color of plants is fantastic. The plants are loving their Cellmax nutrients and honestly the growth has been insane since the switch over from another make!